Versital has been specified for new washrooms to be used by boat owners and their crew at Royal Quays Marina on the River Tyne at North Shields. 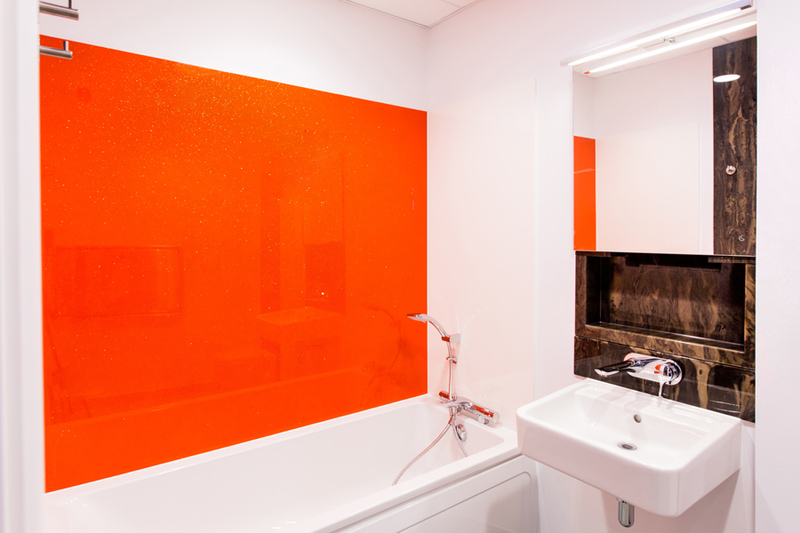 Versital supplied bespoke stone resin shower panels and splashbacks in bold and exciting colours for this striking waterside development. The new building is a stunning contemporary design which incorporates a café bar restaurant as well as the new washrooms. 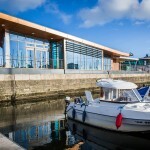 Situated right on the dock edge the glazed frontage gives superb views for diners over the boats moored in the marina, whilst the interior accommodates modern new washrooms for use by marina users. Versital supplied stone resin wall panels and splashbacks in distinctive colours such as ‘Shiraz’, ‘Tangoed’, ‘Dorothy’, ‘Ice White’ and ‘Wenge’ to create 8 contemporary, spacious shower enclosures and washrooms that will serve the owners, family and crew of the 350 boats moored in the marina, as well as the many boats that visit this busy marina each year. Gemma Stockberger, Head of Marketing and Sales for Versital UK. Versital’s non-porous, stone resin shower panels and splashbacks were made to measure for the Marina, allowing the design team to specify the exact shape, size. The design team picked the final colour selection from a range of 90 colours and finishes such as marble, granite, sparkle and high gloss. 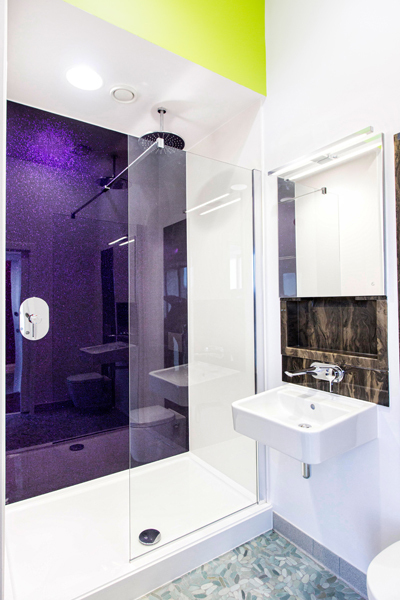 BrightBlue Studio, the RIBA Registered Architects who designed the Marina Building, specified bespoke Versital shower panels to provide a low maintenance bathroom solution. Royal Quays Marina which is widely regarded as the premier boating facility in the area wanted to cement this reputation by making sure that the new washrooms would be the ‘best on the coast’ and to ensure that any sailor who has endured a cold wet sail to reach the marina would be rewarded with first class facilities. The new facilities even include a full-size bath for a long hot soak if required! A little touch of luxury rarely found in a marina. For more information on stone resin shower panels from Versital, get in touch on 01204 380780, or email us via our contact form.